BrickHack. More than 400 students. More than 48 hours of coding. We also can’t forget the 48 hours of cookie-eating, cup-stacking, and gaming! The first day, everyone was beaming with energy! 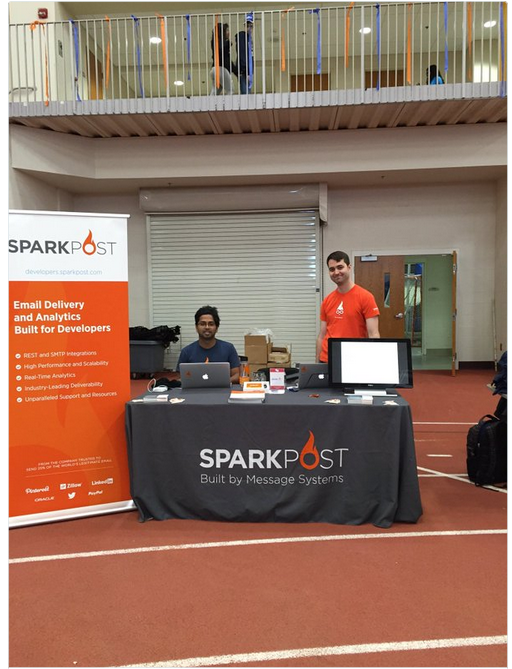 Aydrian and Raju took the lead at the booth and spoke with hundreds of students about SparkPost and the resources we have available to help users seamlessly incorporate our technology into their apps. 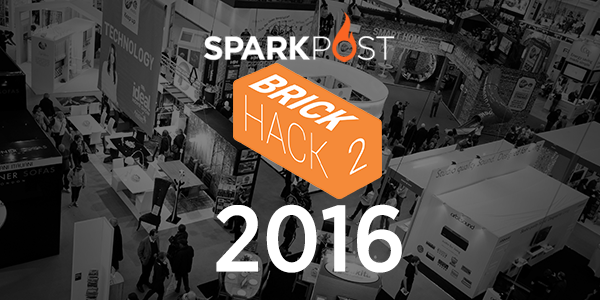 Our Hackathon challenge was quite simple: build something awesome and incorporate the SparkPost API. During our tech talk, Aydrian presented an example of using SparkPost with a demo of an application using inbound relays to get the creativity flowing. From laser harps to email encryption, we helped teams code throughout the wee hours of the morning. I must say, we were quite thankful for the Insomnia Cookies provided by MLH to keep us going! At about 2:30am, we called it a night…er…morning? We needed to restore some brain power! 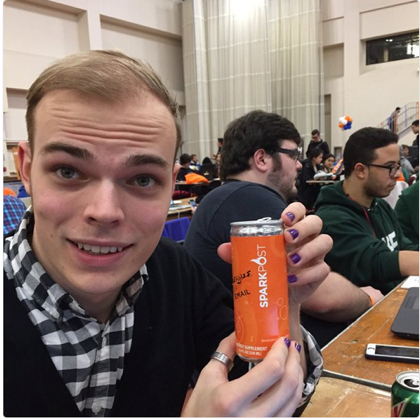 The SparkPost team left the hackers with energy drinks to recharge, which were clearly a huge hit. You know that feeling when your alarm clock goes off after minimal sleep, and you just…stare at the clock in sheer disbelief that it’s time for you to get up again? Yeah, that was us at 6:00am as we prepared to head back over to the RIT field house. It seemed that everyone else felt just as exhausted. The students who were once blasting music had retired to their air mattresses for a quick snooze before crunch time. The effects of the energy drinks had clearly worn off hours ago. Around 2:00pm, judging time had arrived! We were finally able to check out all of the awesome projects that used SparkPost. Each team had incredible ideas, but there could only be one winner! Stephen James took advantage of our Python library and had the best use of recipient lists and transactional email for his campus-oriented event website. Well done, Stephen! 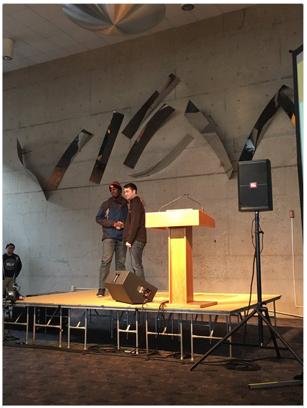 Overall, BrickHack was a well-organized hackathon. Our ultimate goal was to serve as mentors for the students, and we did just that. The amount of Twitter love SparkPost received for staying late into the night was incredible. Thanks for the hospitality, RIT! We hope to see some familiar faces at University of Maryland, College Park for Bitcamp in a couple of weeks! Until then, check out our community Slack channel, or follow us on Twitter.